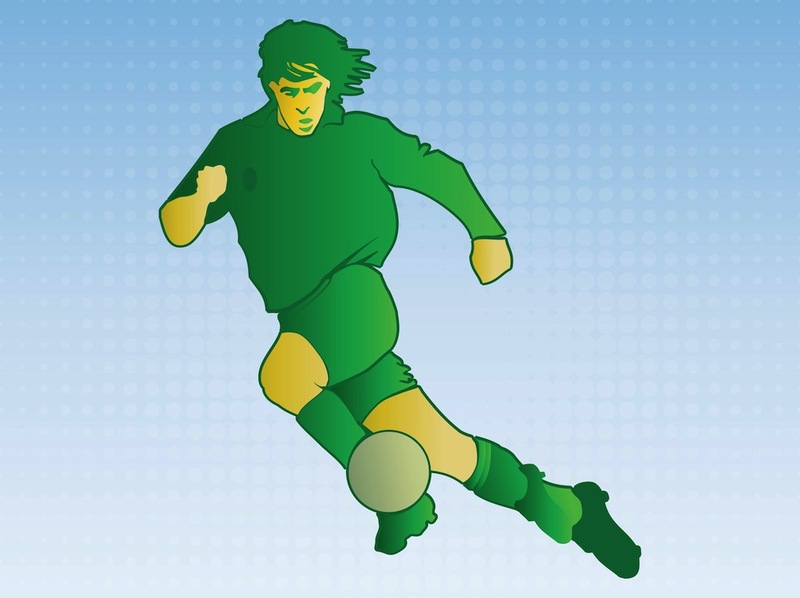 Sports vector graphics of a football player. Cartoon image in bright colors. Running man with ball and soccer team clothing. Free vector image to design sports, football, soccer, game, match, championship, sports gear, famous footballers, keeping fit, workout and physical activity visuals. Tags: Athlete, Ball, Football, Game, Hobby, Man, Match, Run, Sport.